Film (Short) Who Are You? A highly ambitious and motivated individual, with a post-graduate degree and a filmmaking diploma from the London Film Academy; Rachael has been working in film and television for more than four years. Her background includes writing, directing and Co-Producing scripted content including features, shorts, corporate and music videos. 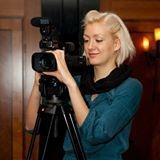 Rachael's most recent work includes over a year working as Line Producer on a global documentary about Cerebral Palsy. On this project Rachael organized many overseas trips and flew to China to film spinal surgery and conduct interviews with neurosurgeons and specialists at the head of their field. Her other tasks were broad and varied including managing and overseeing meetings and filming interviews, creating shooting schedules, liasing with multiple industry professionals and holding regular skype calls with the US team and with relevant celebrities and persons across the globe. Rachael developed script content and oversaw trailer scripts, shoots, and edits. In addition to this, Rachael has set up, and co-runs a small video production company in her spare time. Frequent multi-tasking and prioritizing has been very important in this work and through experience with her company she is adept in overseeing corporate productions from beginning to end: paying close attention to detail but keeping in mind the overall picture. Rachael has excellent interpersonal skills with her extensive client experience and enjoys making and maintaining new client and professional relationships.